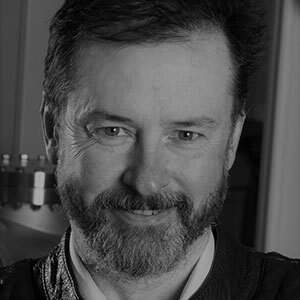 Ian S Gilmore is a Senior NPL Fellow in Surface and Nanoanalysis and a Visiting Professor in the School of Pharmacy at the University of Nottingham. His research focus is on the analysis of molecules at surfaces and interfaces in a wide range of sciences, including the intracellular distribution of pharmaceuticals, drug delivery systems, medical devices, organic electronics and devices using 2D materials. Ian has recently launched a UK National Centre of Excellence in Mass Spectrometry Imaging (NiCE-MSI). This world-class centre has over 15 staff scientists who are experts in the three principal techniques: secondary ion mass spectrometry (SIMS); ambient mass spectrometries (AMS); and matrix assisted laser desorption ionisation (MALDI MS). The aims of NiCE-MSI are to advance the fundamentals of the techniques and innovate measurement capabilities; establish metrology for reliability and standardisation; and support the uptake of the techniques in industry and academia. For example, Ian is leading a major new project, 3D nanoSIMS, in collaboration with GlaxoSmithKline, to create the next generation SIMS instrument for label-free imaging of drugs in cells with a spatial resolution at the organelle scale. He has authored and co-authored over 100 papers on surface analysis and co-edited the popular teaching book 'Surface Analysis — The Principal Techniques'. Ian is a Fellow of the Institute of Physics (UK) and was awarded the Institute's Paterson Medal (2004) for his innovation of G-SIMS. He is a Fellow of the American Vacuum Society, a major science and technology society in the USA, and served on the Board of Directors in 2013–14 where he led the development of the Society's strategy. Ian has made a major contribution to international leadership in surface analysis, recognised by the Rivière Prize in 2013 from the UK Surface Analysis Forum. He is chair of the International SIMS conference series and is chairing a Royal Society Scientific Meeting on Mass Spectrometry Imaging in 2015. He has previously successfully co-chaired the SIMS XV international conference (Manchester, 2005) and chaired the IUVSTA workshop on sputtering and ion emission by cluster ion beams (Scotland, 2007). Ian provides leadership in international standardisation through chairing the committee for SIMS in ISO TC 201 and he is chair of VAMAS for surface chemical analysis, which conducts interlaboratory studies in electron spectroscopies, scanning probe microscopies and mass spectrometries to advance the techniques, support uptake into industry and standardisation.